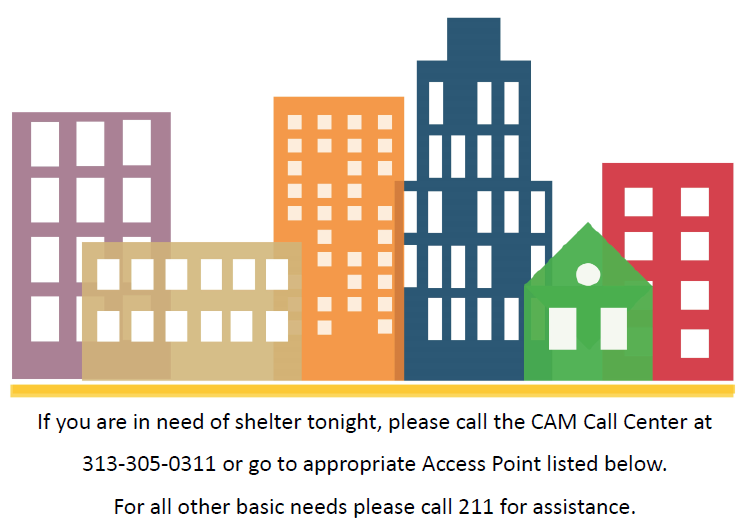 If you or your family are in need of emergency shelter tonight, please go to a CAM Access Point. 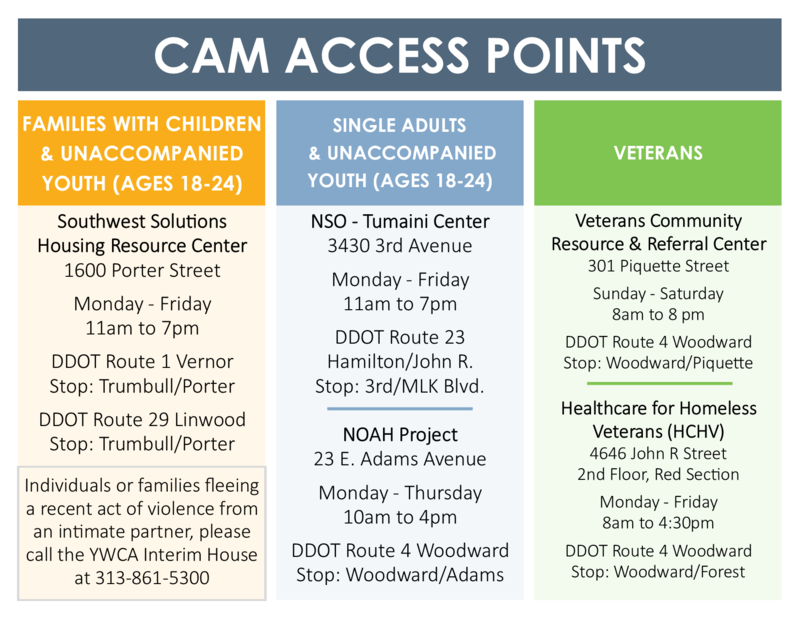 Take a moment to watch this video and learn about the CAM process for families, single adults, youth and veterans experiencing a housing crisis. Learn what you can expect at an access point here. Affordable Housing Resources & Required Documents is a list of additional resources to help you secure housing. It is also a list of documents you typically need to apply for housing. You do not need any documents before visiting an access point. This list is only to make you aware of what may be required throughout your housing journey. It is encouraged that you collect these documents as soon as you can. The Homeless Preference – Housing Choice Voucher is a MSHDA program to assist very low-income individuals and families secure affordable housing. CAM staff complete and submit applications. The applicant is then added to the MSHDA HP-HCV wait list. To remain active on the wait list, you must re-certify your homeless status every 120 days. It is encouraged that you re-certify at least 10 days in advance of your end date. You may check your re-certification date at appportal.mshda.cgi-bps.com.